Although evolutionary developmental biology is a new field, its origins lie in the last century; the search for connections between embryonic development (ontogeny) and evolutionary change (phylogeny) has been a long one. Evolutionary developmental biology is however more than just a fusion of the fields of developmental and evolutionary biology. It forges a unification of genomic, developmental, organismal, population and natural selection approaches to evolutionary change. It is concerned with how developmental processes evolve; how evolution produces novel structures, functions and behaviours; and how development, evolution and ecology are integrated to bring about and stabilize evolutionary change. 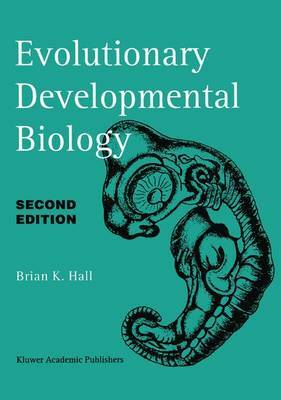 The previous edition of this title, published in 1992, defined the terms and laid out the field for evolutionary developmental biology. This field is now one of the most active and fast growing within biology and this is reflected in this second edition, which is more than twice the length of the original and brought completely up to date. There are new chapters on major transitions in animal evolution, expanded coverage of comparative embryonic development and the inclusion of recent advances in genetics and molecular biology. The book is divided into eight parts which: place evolutionary developmental biology in the historical context of the search for relationships between development and evolution; detail the historical background leading to evolutionary embryology; explore embryos in development and embryos in evolution; discuss the relationship between embryos, evolution, environment and ecology; discuss the dilemma for homology of the fact that development evolves; deal with the importance of understanding how embryos measure time and place both through development and evolutionarily through heterochrony and heterotrophy; and set out the principles and processes that underlie evolutionary developmental biology. With over one hundred illustrations and photographs, extensive cross-referencing between chapters and boxes for ancillary material, this latest edition will be of immense interest to graduate and advanced undergraduate students in cell, developmental and molecular biology, and in zoology, evolution, ecology and entomology; in fact anyone with an interest in this new and increasingly important and interdisciplinary field which unifies biology.